As the top room category at The Lake Hotel, the Master Deluxe Lake View Room is the ultimate in indulgence and relaxation. 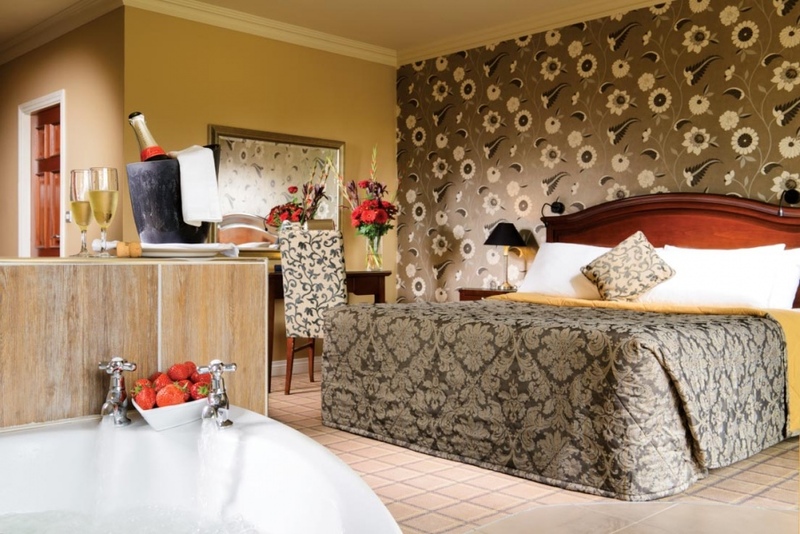 The unique feature of these rooms is an in room Jacuzzi bath set opposite one of the large windows allowing one to soak away the days strains and pains whilst also soaking up the magnificent surroundings on the hotels doorstep. From your balcony, watch white tailed eagles, wild deer and majestic swans as they make their way past your gaze, each in their own world yet all a part of this unique landscape. A King size double bed, lounge area, outdoor balcony seating and more all add to the atmosphere of real comfort and luxury in the Master Deluxe rooms making it an ideal retreat from the daily stresses and strains, a haven of quiet and tranquillity. Natural Sleep Company, "Premium Range Mattress, Ultimate Flotation"